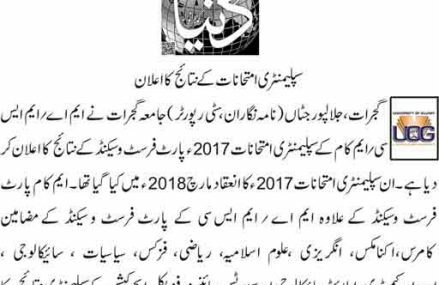 Yesterday on Friday, February 9th, 2018, Bahauddin Zakariya University (BZU) Multan has announced supplementary results of Bachelor Programs / BA/ BSc 2017.While Admission schedule for the Examination of B/BSc Annual 2018 is also declared. The student who want to take exam in next B.A / B.Sc Annual 2018 can submit their dues and forms. BZU is one of the largest public sector university in South Punjab region. Others universities are Islamia Univesity Bahawalpur and Ghazi University D.G. Khan. Bahauddin Zakariya University is a public research university with main campus in Multan, Pakistan. BZU was founded in 1975. It is one of the largest universities in Punjab. 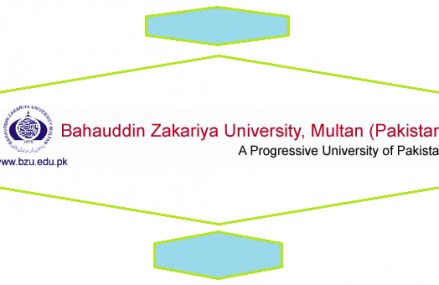 Bahauddin Zakariya University was formerly known as Multan University. Write Your Roll No in Comment Box to get Result Online. Ap mujy bata dy k hum ny kot khadam Ali shah sahiwal mein supplimentry form jama krwaya dia hy full fees k sath ab keh rahy online krwaye koi problem to nai hai na sir plzzz bta den? Dear FAIZA KANWAL Good Luck Next Time. KOI CHECK KR KA BTA DA RESULT 5088 KA?? Result card kaha se download kry mean kis link se? For further details, please contact the Controller of Examinations, Bahauddin Zakariay University, Multan, Pakistan. Dear ADEEBA MAJEED Congratulation on Success in BA Exam 2017 from BZU Multan. Koi kink btao Bsc Ka result check krne k lia? ?? Jnab ye knsi class Ka roll no hy ? ? ?